For workplaces with dedicated rooms for first aid treatment, or an area where risk is particularly high, it may be best to keep first aid items in a designated storage facility. 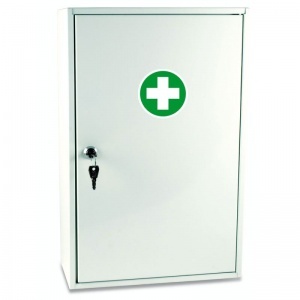 The Basic HSE Workplace First Aid Kit Plus in Sofia Metal Cabinet is an ideal central storage facility to provide employers and staff peace of mind. Finished in white enamel and supplied with two keys for assured security, this strong metal cabinet will provide an extra measure of protection for your emergency supplies. 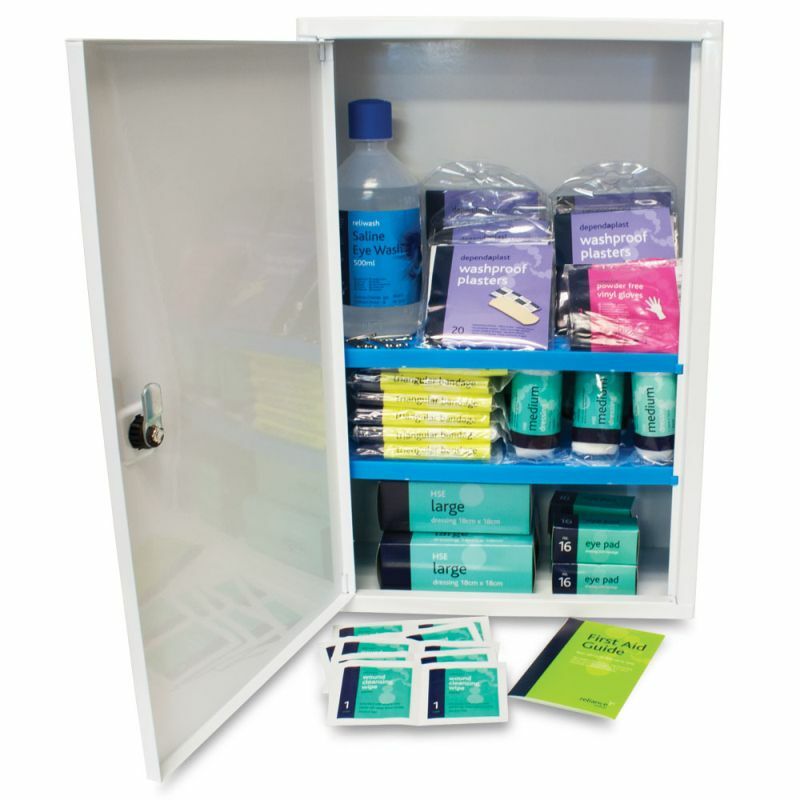 The professionally chosen contents of this fully stocked cabinet are based on the Basic HSE Workplace First Aid Kits and other kits from the Basic HSE range. 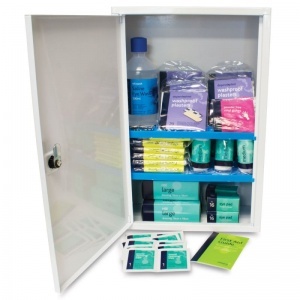 The Basic HSE Workplace First Aid Kit Plus in Sofia Metal Cabinet is usually dispatched via First Class Royal Mail and delivery should be within 1 to 3 working days.